Optional 2" and 3" boxes and racks available. Contact IDS for a quote on these add-ons. Manual Defrost - Cold wall evaporator design provides superior refrigerant flow and maximizes cooling power by ensuring the evaporator is always 100% in contact with the outer freezer chamber wall, maximizing cold transfer heat removal. Easy open handle allows one handed opening and closing and includes key lockable outer lid. The Advanced PLC (programmable logic) microprocessor controller on the Ultra Cold chest freezers, seen here, offers an adjustable control range from -50°C to -86°C. It comes factory preset at -80°C. Control probe located on rear back bottom right corner for optimal and accurate temperature measurement and control, 2-10 VDC cabinet air temperature transmitter. 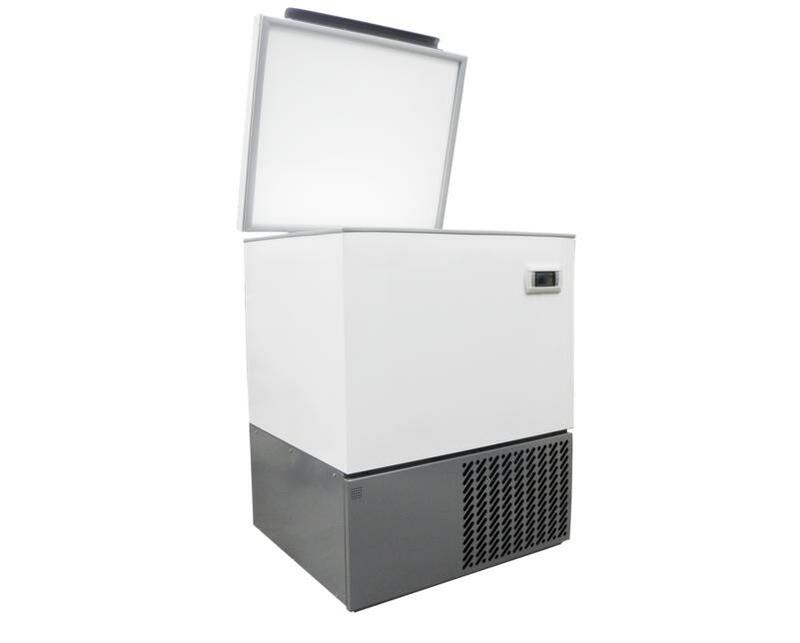 This unit was designed by our same team that created our Ultra Cold Upright freezers, and is covered by the same warranty as our upright models. Click here to see more about the warranty for this chest freezer. ​IDS Suggests a dedicated circuit for this product. OPTIONAL CHART MONITOR NOT INCLUDED - CALL TO ADD THIS OR OTHER OPTIONS AND PLACE YOUR ORDER. 230V available by quote as well.